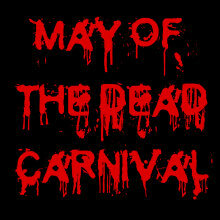 This is a May of the Dead post, part of a Blog Carnival hosted by The Going Last Podcast. 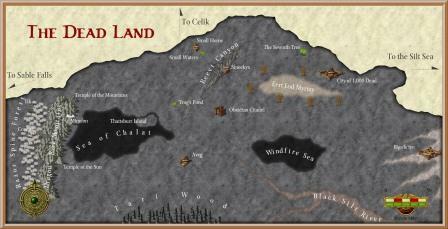 In this post Geneome discusses converting the AD&D 2nd edition Dead Lands Net Project to 4e. I’ve always liked the idea of Dark Sun’s “The Dead Land” and I’ve always seen it as an oversite that the 2E and 4E settings never expanded on it. Since 4E is still going strong, Wizards of the Coast can certainly surprise me and do an article or two on this part of Athas, but who knows. Luckily,Gerald Arthur Lewis, a Dark Sun fan during the 2E days put together an overview of The Dead Land and posted it online (pdf). Given the lack of Dead Land material even today, I thought I would clean up the document and add some 4E notes. Once I started though, I realized it needed a bit more than a once-over. There was content and story in the original document that didn’t make sense and some sections I saw as unnecessary. So I edited the document. The biggest change I made was that the “Obsidian Tide” spread within minutes rather than over the several months the original document described. My thinking was that if it took several months for the Dead Land to form, most people would have time to get out of the way and no one would have died. A more catastrophic event seemed better to capture ships and populations off guard. Other changes involved correcting the heights of cliffs to more reasonable values, changing and standardizing the names of places, adding content where there were gaps, and making the obsidian citadel to be Gretch’s keep instead of having them as two different locations. I also removed both the short story and the history section (also a story) as I found they didn’t add anything that wasn’t already in the main body of the work. And of course I replaced all the 2e rule content with appropriate 4e equivalents and even added 4e concepts where it fit. I’m glad to say that I added only stock rules from 4e with only a slight variation to sun sickness. The map from the original document also got a make over. I took the original hand drawn map as a guide and created a new one using Campaign Cartographer 3. Even after all that, Robert still managed to find lots of interesting gaps in the content here and there and even suggested changing the name of the force holding the dead in the Dead Land which greatly improved the concept. After we made lots of back-and-forth edits, you see the work available to you now, in glorious 4E.